Are Your Growing Your Email Lists Effectively? Email is such an important component of your digital marketing, but often it’s overlooked for its sexier cousin – social media. 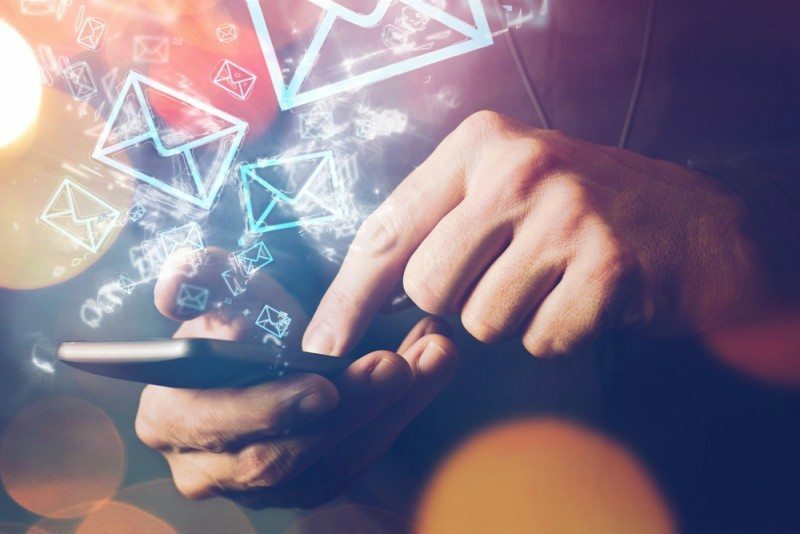 However, email campaigns can be much more targeted, responsive and direct than social media and therefore should be a priority for every business. As well as creating engaging emails and sending them out to your database, an important aspect of successful email marketing is growing your email lists. Email lists need tender loving care, otherwise they degrade as your contacts change email addresses, opt out or stop using old addresses. In fact research from Marketing Sherpas shows that B2B data decays at a rate of 2.1% per month. This equates to an annualised rate of 22.5%. Make Your Emails ‘Not To Be Missed’: If you create really interesting, relevant and desirable email content your existing subscribers won’t want to miss out. This will reduce your opt out rate and also help grow your list as they forward your email content to friends, family or colleagues. Use Social Sharing Buttons: While some recipients will automatically share great content, not everyone will think to do so. Therefore make sure you have social sharing buttons activated in your emails, and options such as ‘forward this email’. Telling someone to do something is more likely to result in actions. Segment Your Email Lists: As you nurture your contacts it is important to put them in different segmented lists so you can target them with highly relevant content. This means that existing customers won’t receive emails designed for prospects, and customers who have shown a preference for a certain subject, service or product can be targeted with more personalised content. Offer Different Subscriptions: Customers are also more likely to subscribe to a list if they believe it will provide them with content they’re interested in. A blanket ‘subscribe to our newsletter’ is not as effective as ‘subscribe to our [insert subject / sector] insights’, or ‘find out first about latest offers and new ranges here’. Use Lead Gens To Grow Your List: eBooks, whitepapers, checklists and other downloads are a great way of giving customers and prospects something they want in return for their email details. Having downloaded a specific piece of content you can put them in a relevant email list and campaign. Use Sign Ups On Your Blog: Lead gens are effective because the recipient gets something in return for their details. However, there’s no harm in asking outright for website visitors’ email details. You can have a sign up in your sidebar or add sign up boxes to individual posts and pages. Once again put subscribers into relevant lists. For example, if they signed up because of a blog sharing tips on email lists you know that recipient may be interested in more information about email marketing! Push Followers From Social Media: It’s advantageous to move social media followers into email lists so you can target them more directly. This is because only a small percentage of your social media followers will see your organic updates and Tweets, whereas your emails will land directly in their inboxes. If you have a lead gen or the option to sign up for special offers or discounts, use your social media channels to push followers into your sales funnel. Give Online Customers The Option To Subscribe: Best practice with online checkouts is to keep data entry fields to the minimum to reduce cart abandonment. This might include allowing ‘guest checkouts’ so that customers don’t have to sign up for an account. However all online purchases require an email address and this is all you need for your email campaigns. A prefilled check box, whether to your newsletter or special offers, is an essential aspect of any checkout process. Request Email Details In The ‘Real’ World: Many shops now automatically ask whether customers would like to sign up to their email list, and others have loyalty cards that also push customers into a nurture campaign. However requesting email details shouldn’t be limited to shops and B2C companies. You can collect registrations at trade fairs, networking events, conferences and workshops. For example if you deliver a talk, use sign up or feedback sheets as an effective way of adding ‘warm’ prospects to your list. Create An Opt-In Campaign: It’s all very well having a large email list but if those people on your list are not acting on your emails it’s a bit of a waste of your time and effort. It’s much better to have a shorter list of people who actually want to receive your emails. So if you have a tired email list that results in lots of unopened emails, low numbers of click-throughs etc., it’s worth asking those recipients to opt-in to continue to receive your emails, and get rid of those people who don’t. Instead of making it completely black and white, you could offer a couple of alternatives. A subscription to specific interest lists will reinvigorate recipients, and this will help ensure that when you do email them they get content that they will engage with and act on.